Mental health in Japanese culture is often a taboo subject. While the subject’s visibility has improved over the years, there is still a stigma against people who suffer from mental health disorders. Japanese animation and manga have assisted in the fight to end this stigma. They portray stories that explore the reality of a person suffering from psychological issues such as PTSD, DID, and depression. People who suffer from PTSD have experienced extremely traumatic events in their lives. These traumatic events can cause major difficulties for a person’s daily life and often changes their entire personality. Treatment and recovery for PTSD is often long and painful. Steins;Gate demonstrates these symptoms through its protagonist Rintaro Okabe. In the beginning of the series Okabe’s personality is that of a self-aware know-it-all with a passion for science and his friends. This drastically changes as he goes on a quest through time to save his loved ones, only to meet constant failure and watch his friends die endlessly. Due to the trauma he experienced, Okabe eventually suffers a complete mental shutdown. In Steins;Gate 0 he constantly appears physically and psychologically exhausted. He also stops being a carefree know-it-all and attempts to be more serious about his future, much to everyone’s extreme concern. 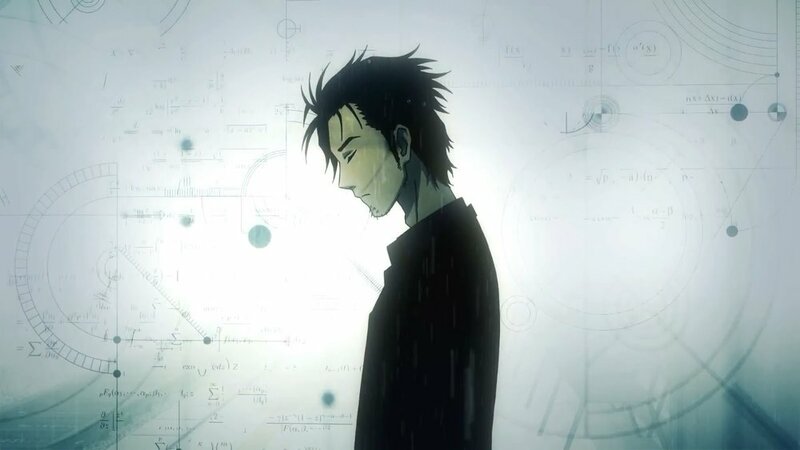 Okabe is shown to attend psychological counseling, but the process is very painful as he tries to remember all the traumatic events that broke him in the first place. Eventually Okabe is able to come to terms with his trauma, but that doesn’t erase the flashbacks and nightmares he experiences. A person who is suffering from classic DID often has at least two different personalities. The original personality suffers from losing time and gaps in their memory. For example, a person might wake up to go to work only to realize the day has gone by and they have no memory of what they did. DID is a terrifying condition that occurs as a result of trauma in a person’s childhood. The manga series Change 1,2,3 demonstrates DID through the protagonist Motoko Gettou and her three other personalities; Hibiki, Fujiko, and Mikiri (Hifumi). From a young age Motoko lost her mother and was taken in by three men who all claim to be her “father.” Each father is an expert in hand-to-hand combat. Motoko was forced to endure combat training from an early age, resulting in Hifumi. Hifumi can take over Motoko’s personality at any given time, resulting in Motoko unknowingly being dragged into dangerous situations. Upon taking control back, Motoko is terrified of the chaos around her, as she doesn’t remember any of it. The medical professionals within the series all agree that this is a serious psychological problem. Depression causes a person to have feelings of extreme demotivation and sadness for an extensive period of time. Depression has become one of the biggest issues in Japanese society, and the mental health stigma within Japanese culture makes it harder for people to seek out help or support from others. Orange demonstrated this through the character of Kakeru. Through the entirety of the series, Kakeru is grieving the loss of his mother. In an alternate timeline he blames himself for her death, believing himself to be undeserving of life. When he tries to talk to some of his school friends about his suicidal thoughts, they treat it as a joke, though Kakeru is serious. This event leads him into isolating himself because he is afraid of being pushed away by others. Ultimately his grief, isolation, and loneliness drive him to commit suicide. In the main timeline Kakeru stops himself from committing suicide, not because of someone physically stopping him, but because the love and support of his friends make him want to live. The main lesson of Orange is that when a person is depressed or upset, the important thing to do is be there and listen to them. Sometimes the simple act of listening can help a person fight their depressive demons. While the stories of mental health in manga and anime may not be real, the lessons and messages about mental health are. As seen over the past decade, there are more and more series out there that address a broader spectrum of mental health issues. For anyone who is currently fighting for better mental health or wanting to a support a loved one, it’s okay to say that you’re not okay, and seeking help from a loved one or medical professional does not make you weak.